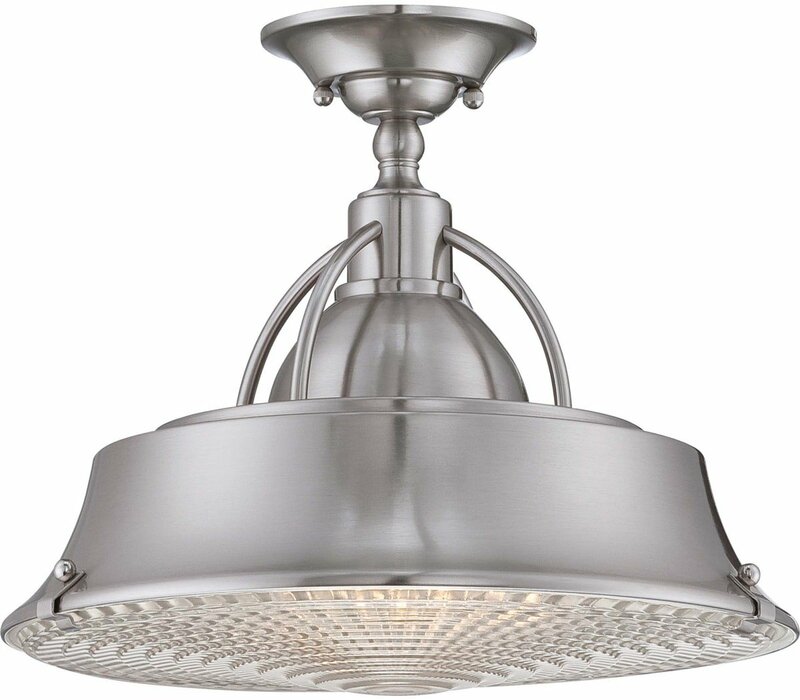 This contemporary metal shaded fixture is in contrast an elegant nod to the past. The clear ribbed glass diffuser adds a nostalgic flair to your home. It is available in two fabulous finishes Brushed Nickel and Mystic Copper. The Quoizel CDY1714BN Cody collection Close to Ceiling Lighting in Brushed Nickel uses Fluorescent light output and brings Contemporary style. This item is 12"H x 14.5"W x 14.5"L. The wattage is 100. 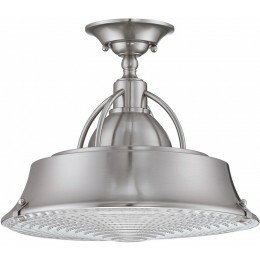 The Quoizel Lighting CDY1714BN requires 2 bulbs (not included).